Panama City Beach is a hub for SCUBA diving in more ways than one - not only do recreational divers love exploring the artificial reefs and shipwrecks just a few miles offshore, but all US Navy Divers (as well as some members of the Marines, Air Force, Army, and international teams) are trained here in Panama City Beach at the Navy&apos;s Dive School. That means that some of the newest, most high tech, and even secret dive technology is being developed in Panama City Beach. 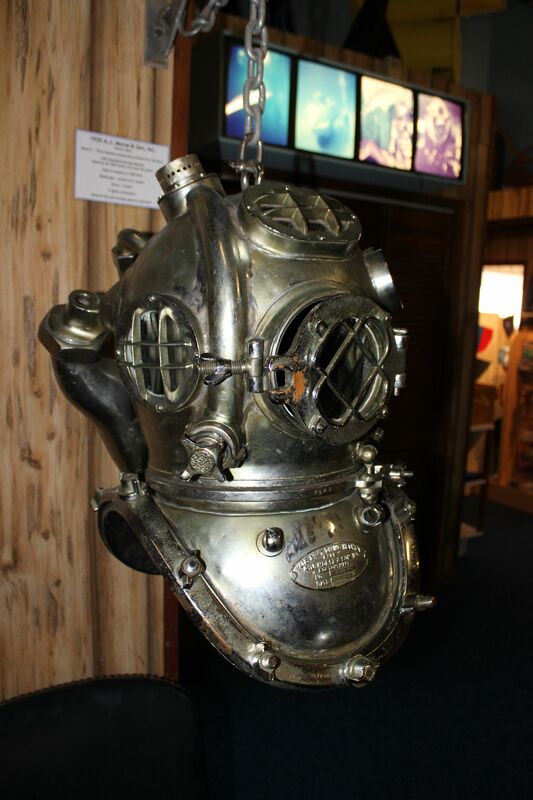 With so many divers in our area, it&apos;s no surprise that we&apos;re also home to a very unique diving museum - the Man in the Sea Museum. As local scientists, divers and engineers redefine what is possible in modern underwater exploration, they&apos;re literally creating the future of diving, and the Man in the Sea Museum is collecting milestones in the advancement of diving. Out front you&apos;ll see a variety of diving treasures, including mini-submarines, mine-hunting devices, and the SEALAB 1, which was instrumental in studying the possibilities and effects of saturation diving (staying underwater, at depth, for extended periods of time). Inside, there&apos;s a huge collection of diving artifacts, a metal deep-sea diving helmet you can try on for size, and even rebreathing diving equipment only recently de-classified by the US Navy. You&apos;ll learn about the history of diving from the ancient Greeks all the way to modern military, and discover some of the methods used by today&apos;s treasure hunters! You can also crawl into and through a small submarine developed for the US Navy to explore depths of 2,000 feet and more. 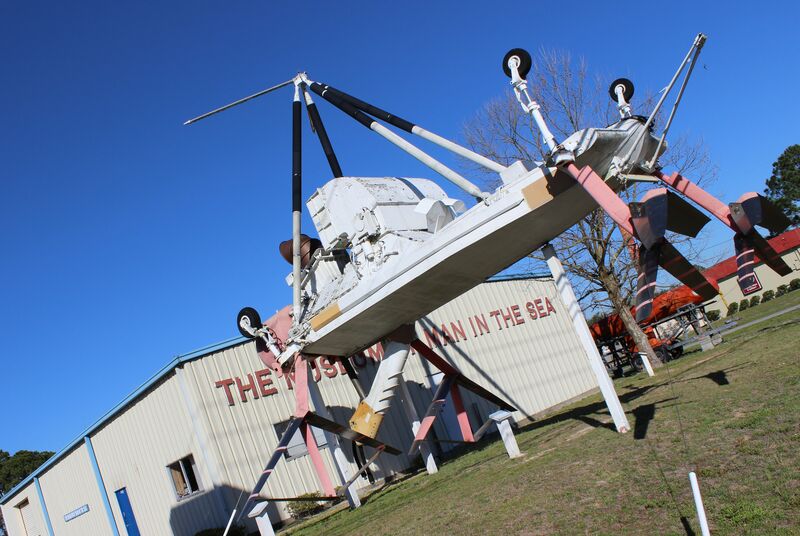 Despite its connection to the Navy dive community, the Man in the Sea Museum is not funded by the government, and relies on donations and a small admission fee (only $5 for adults, $4.50 for seniors, free for children 6 and under). Supporters also host an annual Oyster Bash, Golf Tournament, and this year an Underwater Bicycle Race!